One of the biggest reasons that a highly inexperienced quarterback like Matt Cassel can step in for a multiple Pro Bowl and Super Bowl winner like Tom Brady and still win 11 games is because New England’s offensive line is the best in the business. 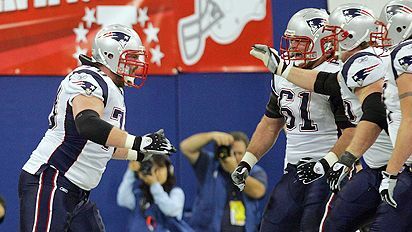 No O-line works better together than the unit that comprises of Dan Koppen, Logan Mankins, Nick Kaczur, Stephen Neal and Matt Light. All five know their assignments and carry them out with near flawless execution. One of the best-kept secrets in football is how good the Giants’ offensive line is at run blocking. 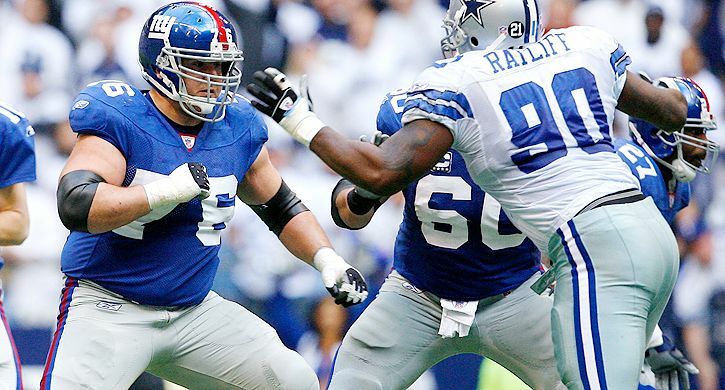 Thanks to Pro Bowlers Chris Snee and Shaun O’Hara, running backs Brandon Jacobs and Ahmad Bradshaw should have no problem finding running room once again this season. Simply put, this is one of the most cohesive offensive lines in football that rivals only the Patriots in terms of stability. Drew Brees, Reggie Bush, Marques Colston, Pierre Thomas and Jeremy Shockey get a lot of credit for how good the Saints’ offense is (and deservedly so), but the backbone of New Orleans’ offensive success lays with one of the most underrated lines in the NFL. Led by tackle Jammal Brown and outstanding young guard Jahri Evans, the Saints’ line gave up a league-low 13 sacks last season and might just be the best pass blocking unit in the league. Hopefully mauler Carl Nicks will continue to develop and help this unit improve even more in the run-blocking department. If the Broncos take a step back in 2009 after going 8-8 and coming up one win short of a division title, it won’t be because of their offensive line. Denver has one of the best units in all of football, led by their pair of young tackles Ryan Clady and Ryan Harris, who were both outstanding in ’08. Throw in a pair of underrated guards in Ben Hamilton and Chris Kuper – as well as the veteran presence of center Casey Wiegmann – and you have the makings of a solid all-around unit. The addition of free agent guard Alan Faneca was pivotal to the Jets’ offensive line last year, not only in terms of strengthening the interior of their O-line but also lifting the production of youngsters D’Brickashaw Ferguson and Nick Mangold. Veteran Damien Woody also played surprisingly well after getting out of football hell in Detroit, and meshed well with the rest of the unit. As long as guard Brandon Moore recovers from the sports hernia surgery he underwent this offseason, the Jets should once again have one of the better offensive lines in all of football. Offensive lines that also deserve mention: Carolina, Tennessee, Indianapolis, San Diego, Tampa Bay (see below), Philadelphia (see below), Miami, Baltimore, Minnesota and Cleveland. One could make the argument that either Carolina or Tennessee deserve to be in the top 5 and the rest of the lines mentioned above are definitely top 15 material. One thing to keep in mind about Minnesota, however, is that they lost center Matt Birk (who signed with Baltimore). The Vikings should still have one of the better offensive lines in the NFL, but it’ll be interesting to see what kind of an effect not having Birk will have on the success of Adrian Peterson. I struggled with whether or not I should list the Bucs in this category given how they’re already at a top level, but I wanted to talk about them because they have one of the best up-and-coming offensive lines in football. Right guard Davin Joseph is a Pro Bowler, tackles Jeremy Trueblood and Donald Penn continue to improve with each passing season, left guard Arron Sears is a force to be reckoned with and center Jeff Faine is a steady presence in the middle. This unit is already solid and there’s still room for improvement, which is why I feel I’m justified in listing them in his category. With their addition of former Bills offensive tackle Jason Peters in the offseason, the Eagles have one of the most improved offensive lines in the NFL. As long as Peters’ play doesn’t drop off after cashing in on a new six-year, $60.7 million contract this offseason, the two-time Pro Bowler should dramatically improve Philly’s offensive line play. But this unit doesn’t come without some concern. Tackle Shawn Andrews continues to deal with back problems and brother Stacy (an offseason addition from the Bengals) is just eight months removed from ACL surgery. Still, if the Andrews brothers can bounce back, the Eagles have the makings of a great offensive line. Entering last season, offensive line was supposed to be a massive weakness for the Falcons. But Atlanta’s O-line came together and formed a tight bond that should only aid in their success in 2009. Hopefully left tackle Sam Baker can stay healthy this year and improve on the success he had as a rookie last season, while guard Justin Blalock should continue to sharpen his game as he enters his third season. Believe it or not, the strength of the unit might be on the right side, where Tyson Clabo and Harvey Dahl form a nasty run-blocking duo (just ask Falcons’ opponents and running back Michael Turner) that should once again pave the way for Atlanta’s excellent running game. Veteran center Todd McClure also continues to be the glue that holds this underrated line together. The Jags were absolutely ransacked by injuries to the O-line last year, which unsurprisingly had a negative affect on a team that many thought would contend for the Super Bowl. But all indications are that this line is healthy again and the additions of free agent Tra Thomas, as well as rookies Eugene Monroe and Eben Britton should only help. Jax also re-signed center Brad Meester in the offseason so as long as this revamped O-line comes together, the Jags should be in better shape than they were a year ago. This is by far the worst unit in the NFL and even though new GM Martin Mayhew upgraded other positions this offseason, he failed to add talent on Detroit’s miserable offensive line. Outside of selecting solid blocking tight end in Brandon Pettigrew in April’s draft, what did Mayhew do to upgrade this unit? Gosder Cherilus should develop more in his second year and Daniel Loper is an upgrade over Damion Cook at left guard, but Jeff Backus often resembles a turntable at left tackle and chances are quarterbacks Daunte Culepper and/or Matthew Stafford will be on their backs a lot this season. With how bad Detroit’s O-line is, running back Kevin Smith doesn’t stand to have that big of a year either, though he performed pretty well in ’08 behind a similarly bad line. The Bengals certainly don’t have the worst collection of talent on their offensive line, but nobody really stands out and who knows how well they’ll play as a unit. Rookie first round pick Andre Smith has all of the talent in the world, but his work ethic and conditioning have been criticized in the past and therefore he remains a huge question mark. 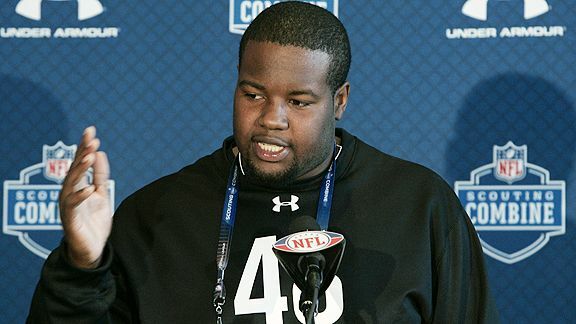 Cincinnati views him as a right tackle, so maybe that will take the pressure off of him in his first year. That said, is Andrew Whitworth the guy you want protecting Carson Palmer’s blindside? Can Kyle Cook overcome his lack of experience with good football IQ? There are a lot of question marks surrounding a unit that will have new starters at four different positions this year. There’s really not much to like about a unit that significantly under performed in 2008 and then lost its best player, tackle Jason Peters, in the offseason. Buffalo plans on starting two rookies (albeit, two promising rookies) in Eric Wood and Andy Levitre at guard and also has to shift Brad Butler to right tackle. That’s a ton of change for one unit and while there is some excitement surrounding Buffalo’s offense this year with the addition of Terrell Owens, I wouldn’t set expectations to high on quarterback Trent Edwards or even running back Marshawn Lynch. Granted, a case could be made that Wood and Levitre might blossom and the Bills’ line will be better than advertised, but it’s never wise to count on rookies excelling because don’t make a significant impact in their first years. 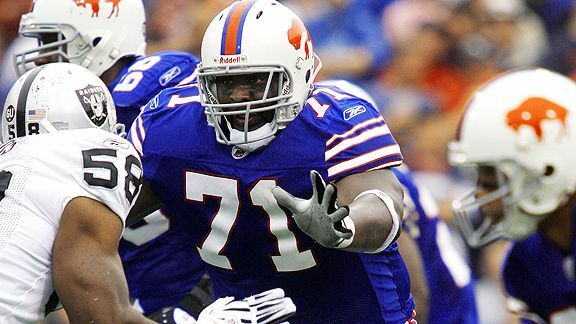 This was once one of the best offensive lines in football, but has since fallen off dramatically. Every starter in this unit missed time last season due to injuries, including Walter Jones, who is still a solid left tackle but is no spring chicken at 35. Rookie Max Unger is a good young talent, but he has to make the transition to guard after playing center at Oregon. Rob Sims showed flashes of potential in his rookie season two years ago, but last year was a disaster after he tore his pectorals muscle in September and was placed on IR. Chris Spencer is another player coming off season-ending surgery, so while Seattle has some budding youth on its O-line, there are still some major injury concerns surrounding this group. I’ll make this quick: The Niners surrendered a league-high 55 sacks last year and then decided to concentrate on adding position players in free agency and the draft. Nobody is going to argue with San Fran taking dynamic wide receiver Michael Crabtree with the No. 10 pick in April’s draft, but this team shouldn’t have ignored its offensive line in later rounds. Need a loan? Learn how to manage your personal finance. Good article. The offense is about the protection for four quaters.